6 Stuffed Animals ZOO Safari Jungle TIGER LION GIRAFFE ZEBRA MONKEY ELEPHANT for just $11.95 !!! 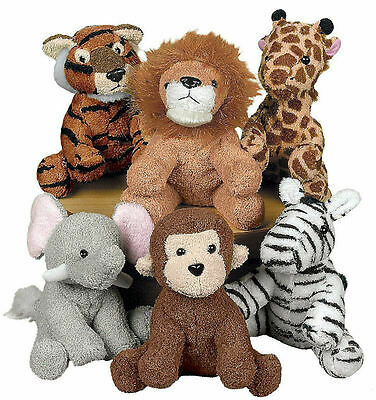 Score these , 6 Stuffed Animals ZOO Safari Jungle TIGER LION GIRAFFE ZEBRA MONKEY ELEPHANT for just $11.95 !!! YOU WILL GET 6, SOFT Plush Zoo Animals. These suede-like animals are way too cute! monkey, tiger, elephant, giraffe, zebra or lion. Give one of these cuddly creatures to each guest at your next safari party! BestMassage 2″ Pad 84″ Black Massage Table Free Carry Case Bed Spa Facial T for just $67.99 + FREE shipping !! reg price $82 !! New Gym Chin Pull Up Door Way Exercise Bar Strength Fitness Equipment for as low as $20.79 + FREE shipping !! Lunar Nectar Spring Trial Kit for only $30 !! !